Crock pot beans and weenies is one of the easiest (and kid pleasing) crock pot meals I’ve ever cooked. Now that the weather has cooled off, this is one of those warm, comforting crock pot meals that we LOVE on breezy evenings when there’s that crispness to the air. 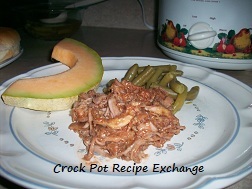 *TIP* This is a perfect recipe to use any leftover crock pot pinto beans in. Not to mention it’s a very budget friendly recipe too. 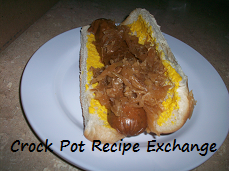 This recipe shared at Tasty Tuesday and Friday’s Kid Tested Recipe.